The new Camry Hybrid is a winning combination. 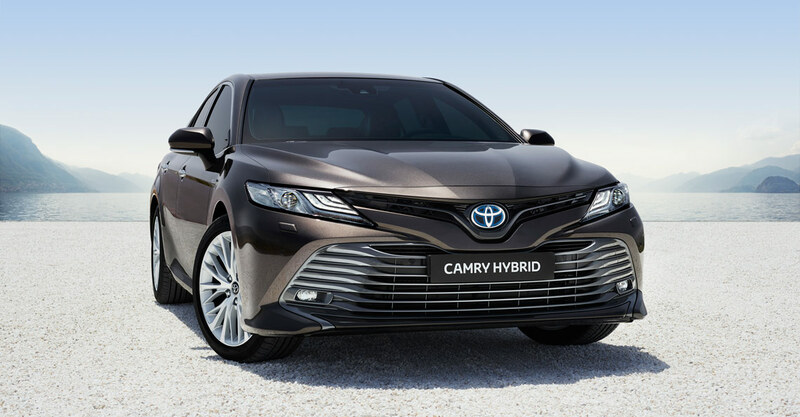 It takes the sophisticated elegance of a quality sedan and adds all the benefits of a Toyota Hybrid, providing advanced technology and outstanding performance alongside sleek design and elegant comfort. The result is an exceptionally rewarding driving experience. The all-new 2.5 litre engine produces impressive power and torque alongside excellent fuel economy, low CO2 emissions and a supremely quiet drive made even more tranquil by superior sound insulation that reduces road and wind noise. The new Camry Hybrid is built around the Toyota New Global Architecture (TNGA) platform, making the drive even more enjoyable. A highly rigid body, low centre of gravity and advanced double-wishbone suspension ensure excellent roadholding and ride comfort with a greater sense of control. Relax in a refined cabin that combines elegant design, the finest materials and spacious comfort in both front and rear seats, as well as plenty of room for all your luggage. A wealth of technology enhances every journey, with driver information integrated across three displays, including a colour Head Up Display, to make route guidance simple. A nine-speaker JBL sound system brings your music to life, while a wireless phone charger eliminates the need for cables.